The Filipino Staff Seminar has been replaced by a seminar focusing on the staff method from Krabi Krabong taught by Ajarn Steve Wilson. The staff is a rarely taught component at MKG Seattle. 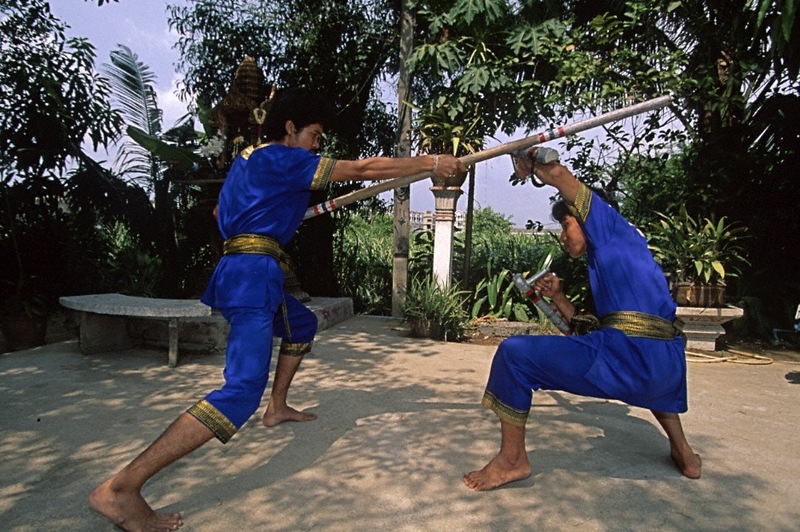 Staff work begins appearing in our Kali curriculum at Level 2 and features Filipino and Thai methods. It’s a real treat to have Ajarn Steve teach at MKG Seattle again and to focus on the Thai cultural art of Krabi Krabong. This may be one of your few chances to see this material at MKG Seattle so don’t miss it! $75 Including a resin-injected 6ft staff. $60 Including a resin-injected 6ft staff. Purchase online before 01/31/2015 and save $5.00.